Online goes offline: as a company once based purely online, this has been Shoepassion’s motto for many years. That’s why we are all the more pleased to have opened the doors to our first store in Austria in September 2017. Right in the center of Vienna, not far from the Mariensäule and the Kirche am Hof, our Austrian customers now also have the pleasure of experiencing our exquisite range up close and personal. Across the approx. 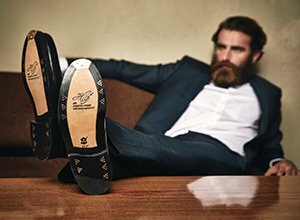 65 square meter store, our experienced sales staff are on hand to welcome you and provide advice on our stitched men's and women's shoes and matching accessories. A selection of luxurious Budapest designs from the traditional company Heinrich Dinkelacker also await you on site.